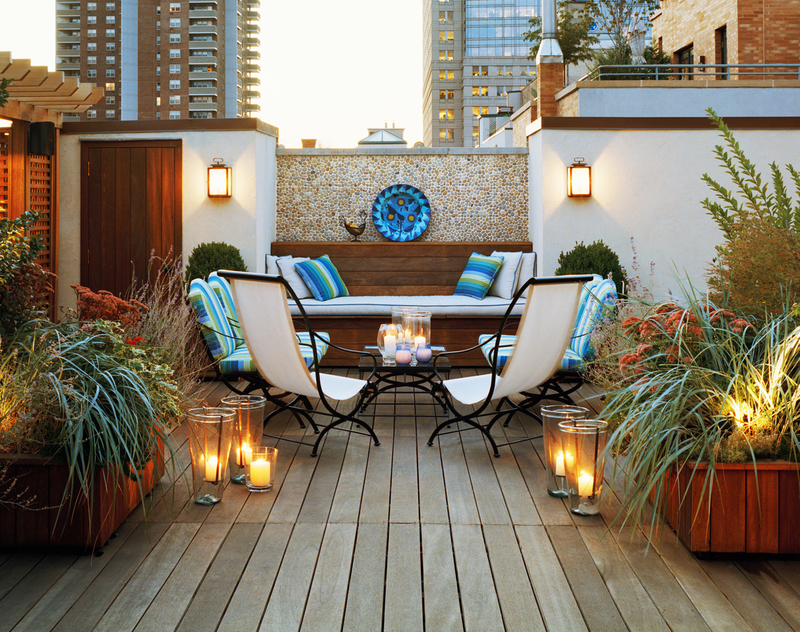 Joy’s terrace spans two former loft building roofs developed and renovated by Triarch. 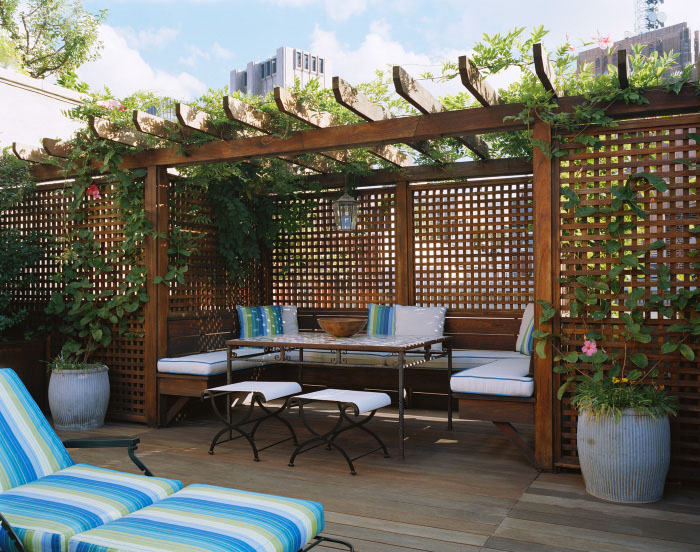 The result is a private urban oasis in the historic district of TriBeCa, New York. 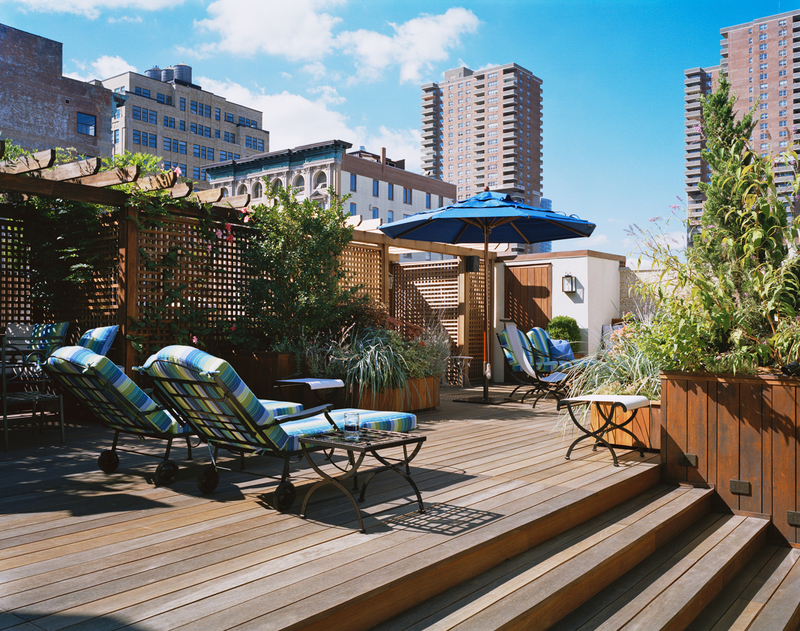 The 2,500sf terrace is highly articulated with a variety of recreational areas, including outdoor grille and kitchen, shaded dining area and seating areas, sun-bathing, and even an outdoor shower. 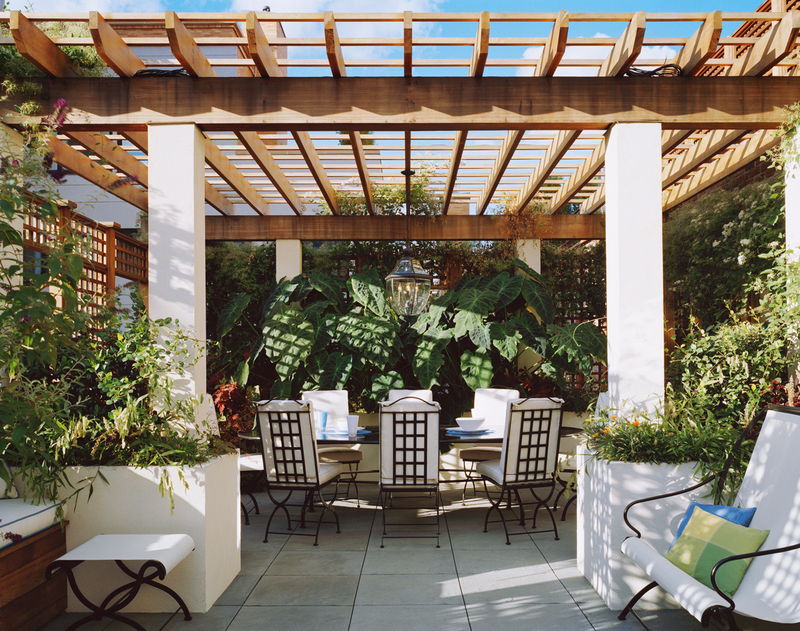 Characterized by lush planting, elaborate pergolas and lattice work, and eclectic style cast-iron outdoor furniture, the terrace provides a remarkable backdrop for large cocktail parties, intimate dinners and family gatherings.